Hope your new year is going as great as it is here for our family. The celebrations don’t end yet after Christmas with our family. My husband’s side of the family is very much into traditions. Every year since I met my husband, I see that his family partakes in family traditions. Which entails always getting together. After Christmas, we got together for a short while on New Year and went out to eat. This weekend, like most Latin American countries, we celebrated El Dia de Los Reyes Magos or Three Kings’ Day on January the 6th. This year, this day fell on Saturday which is perfect since most of us don’t work on the weekends. The weather was not hot or cold, it was great to be with family and enjoy a great time. Plus, do my favorite thing to do, eat! Three Kings’ Day commemorates the three wise men who traveled through the desert bearing gifts for baby Jesus. They were Melchior, Caspar, and Balthazar. They offered gifts to Jesus such as gold, frankincense, and myrrh. The gifts, the wise men gave were represented in Gold which is fit for a king, Frankincense which is used to worship at a temple and Myrrh which is used for embalming, as well as a salve for irritations such as diaper rash, according to this article, Epiphany. When I was younger, I don’t recall celebrating or getting together or knew much about these traditions. My family would put up the Christmas tree, get together for Christmas, exchanged gifts and such but after that, it was just another day. Since I got married, my husband’s side of the family has all these traditions since they were younger. Now our boys partake in such events and they enjoy being with aunts, cousins and all their family. At home, we usually don’t have the boys’ shoes out for the Three Kings to leave gifts for them. 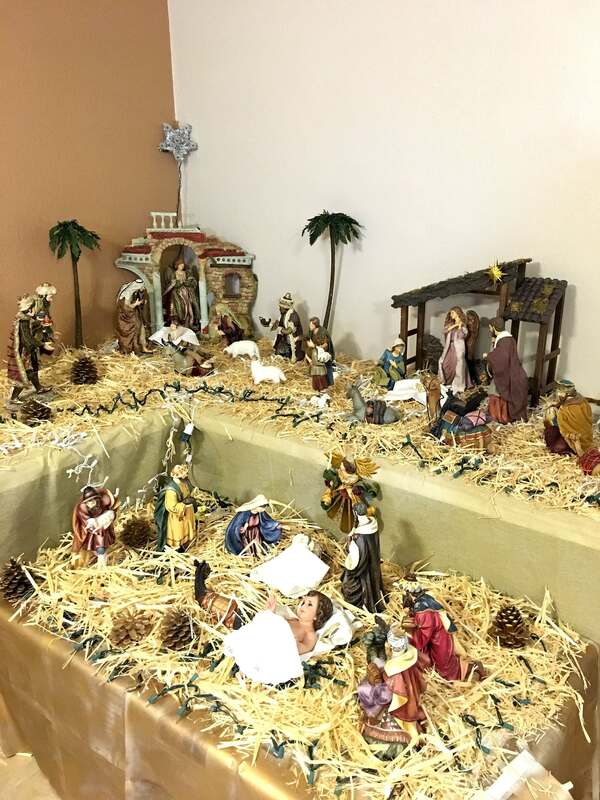 Nor do we put out a box with hay to feed the animals that brought the Three Kings to see baby Jesus as some of the people that partake in this celebration do. 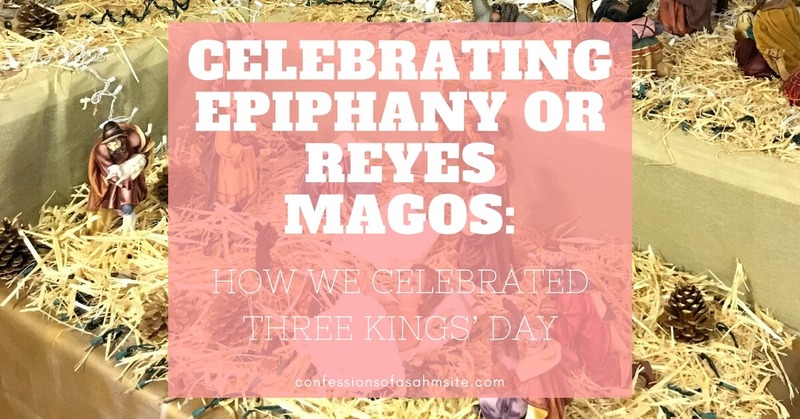 Read more of what the tradition entails in this Three Kings’ Day Celebration article. 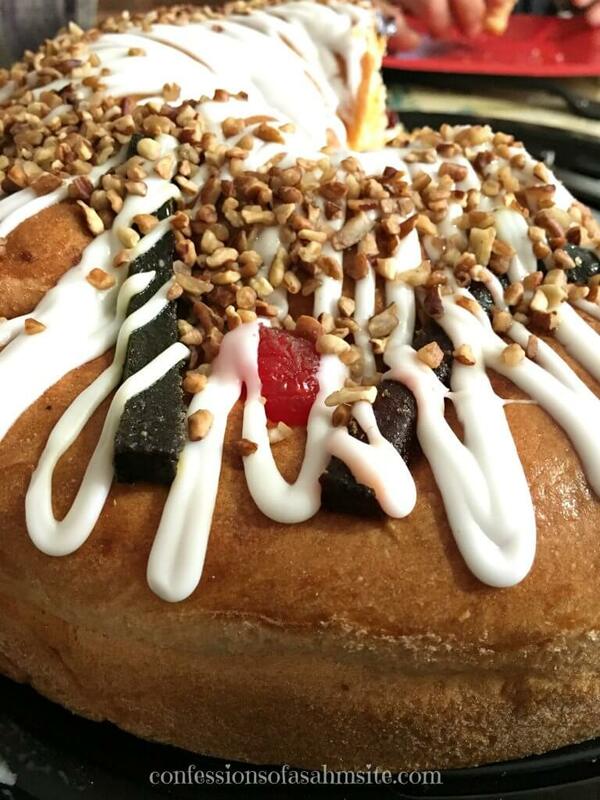 We get together with the family and enjoy food and the famous bread that is often used on this special day, Kings’ Bread or Rosca de Reyes, in Spanish. According to this article: Dia de Reyes, the Story of Los Tres Reyes Magos, this delicious treat offers more of a symbolic representation. First, the bread is shaped round to signify a king’s crown or some believe that the circular shape represents God’s eternal love for us since it has no beginning or end. Next, is the dried fruit that represents some of the jewels that could be present on the crown of a king or it could represent the worldly distractions that keep us from finding Jesus. You choose whatever you feel best applies. This sweet bread also comes with a special surprise. Sometimes baked inside, or at times inserted after it has been baked, is a small plastic figurine representing baby Jesus. This symbolizes when Mary and Joseph fled and hid baby Jesus from King Herod. Whoever finds this figurine is then tasked to host an upcoming party for the occasion of ‘Dia de la Candelaria’ or Candlemas Day, which occurs each year on February 2nd. Yet another celebration excuse for our family to get together and always looks forward to. During the Kings’ Day celebration, my sisters-in-law and mother-in-law sing songs, say the rosary and litany. 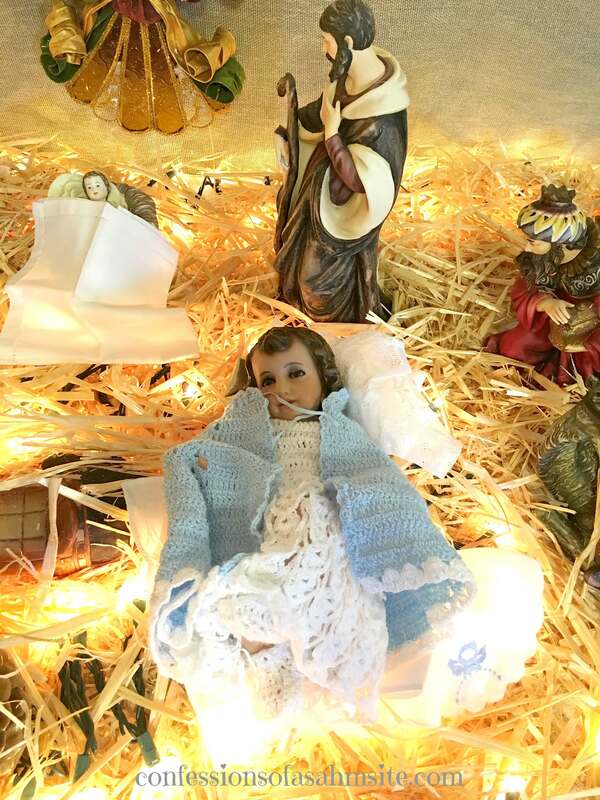 At the end, they grab baby Jesus from the Nativity set and pass Him around for all to give a kiss on his forehead. Sometimes afterward, they give kids a baggie full of peanuts, an orange and candies. My boys enjoyed the day and played with cousins and yet were not tired after heading back home. Beats me where they get all that energy! Once this day passes is when we start taking down the Christmas decorations and putting everything away. Ready for the next holidays to come within the year. How about you and your family, what traditions do you all have that have passed on to your kids? 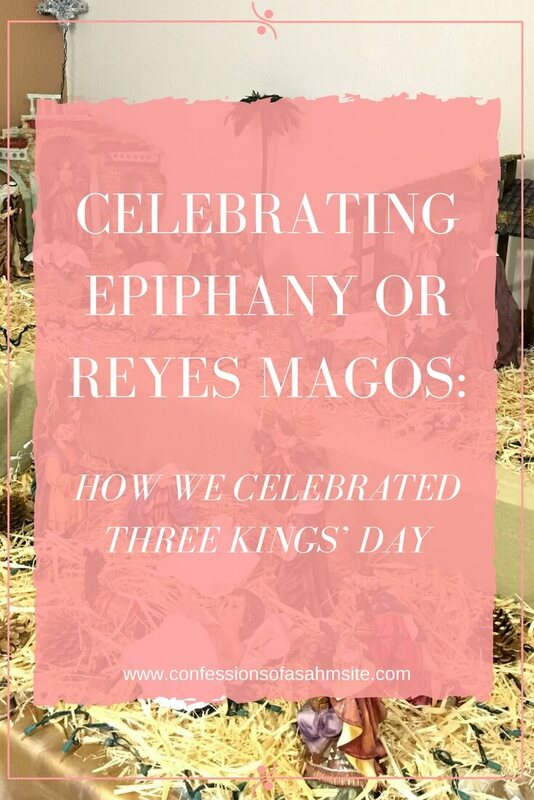 Did you celebrate Three Kings’ Day or Dia de Los Magos?